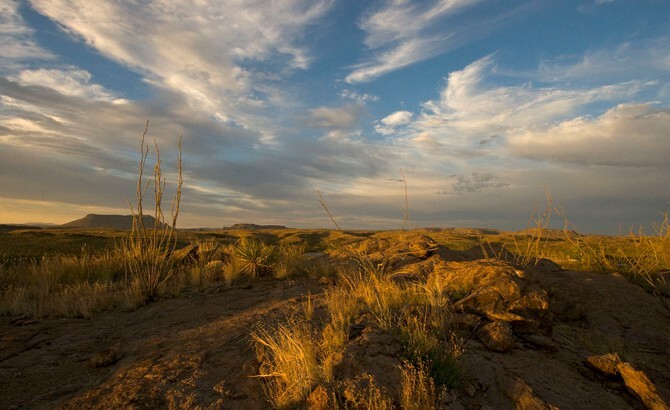 Sitting along the Rio Grande in far West Texas on the U.S.-Mexico border, Big Bend is the largest state park in Texas. Come embrace some of the most remote and rugged terrain in the Southwest! The parks' outdoor recreation is for the truly adventurous. Enjoy activities like hiking and mountain biking, horseback riding, 4x4 touring, rafting, canoeing, and fishing. There are 238 miles of multiuse trails, and visitors can explore 70 miles of dirt roads in high-clearance four-wheel-drive vehicles. The scenery boasts mountains, canyons, plateaus, rivers, and waterfalls, and provides plenty of opportunities to explore. And don’t forget to stop at the Cuevas Amarillas to check out the prehistoric rock art.